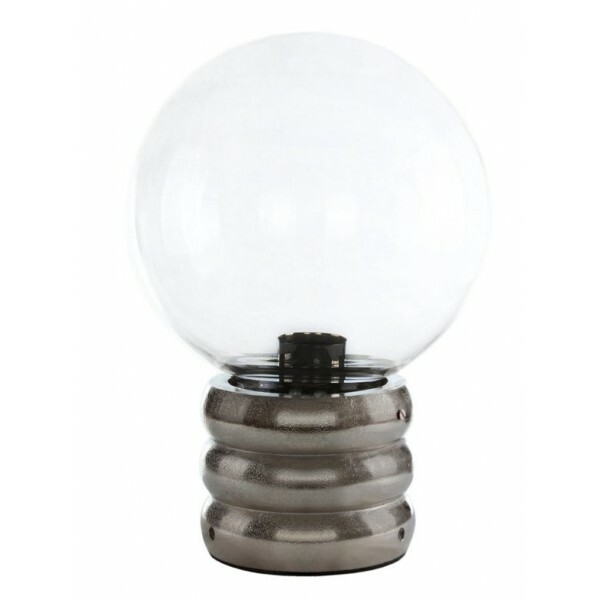 Truly amazing larger than life lightbulb lamp with clear glass and pitted chrome base, with black cord and rocker on/off switch. Stands 36cms tall. The base is approxiamtely 13cm tall. A real conversation piece. Ideal for study, sitting room or playroom. This fun lamp throws the light around the room. Diameter of the hand blown glass bulb is approximately 25cms. For indoor use only. Light bulb not included.